Welcome to the Window Hardware Company parts store! 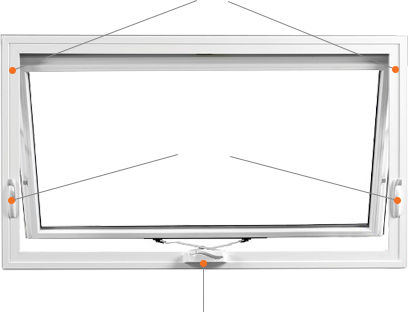 Here you can order all your replacement window hardware for awnings, skylights and windows at wholesale prices, direct to you. We are an authorized distributor of Amesbury Truth window hardware, and all our replacement window parts featured in the catalogue are genuine AmesburyTruth and are 100% guaranteed! We have over 10,000 parts in our inventory, so we’re sure to have the part you need. 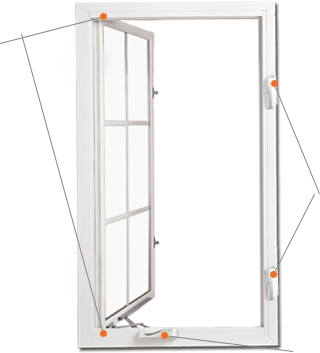 From window hinges, latches, locks, and operators, to window accessories, to patio door hardware, - we have any casement window and awning window replacement part you may be searching for. When you shop at the Window Hardware Company online store, you can rest assured that you’re getting the best replacement hardware for awning and casement windows in Canada and the U.S., made using only superior quality materials. Our high-end locks and other window components are designed for increased security and energy efficiency of your home, bringing you not only piece of mind, but also significant cost savings on energy bills. Choose A Product Category Below To Start Your Part Search Now.